Home - City Mix Inc. Welcome to City Mix! We provide high quality ready mix concrete products to residential and commercial customers in Winnipeg and surrounding areas. With the utilization of cutting edge technology, including GPS fleet tracking and fully automated batch plants, City Mix is ready to take on any ready mix concrete project, large or small. Our highly experienced engineering staff provides the technical expertise and quality assurance to meet the most stringent requirements. 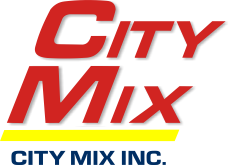 City Mix is proud to provide Winnipeg’s top home builders and general contractors with a high strength, highly durable product and knowledgeable, friendly customer service.